Ivora’s story began the second week of August 2005 when she developed flu-like symptoms. She tried various over the counter medications, but they did little or nothing to help her feel better. On August 17th twenty year old Ivora left school early, took some medication and went to bed. By Sunday, she had a low grade fever. By Monday night she started having problems keeping food down. Her fever dropped several times but never completely went away. Feeling this was a very nasty flu, her mother thought Ivora should go to the hospital. The hospital mistakenly sent them to a pediatric doctor but that doctor was alarmed by her symptoms. Before she sent Ivora back to the adult clinic, she called ahead to make sure Ivora was seen immediately and not left sitting in the waiting room. The doctor who next saw Ivora shrugged off the first doctor’s urgency, saying she had “a virus that was going around.” She prescribed two medications and sent Ivora home. For a short time, Ivora’s health started to improve. Her fever went away and she was able to eat, but late Saturday, Ivora sounded like she was panting in her sleep. But her mother let her sleep, something she now regrets. The next morning Ivora seemed to be okay, but by the afternoon, she could not cross a room without total exhaustion. Her breathing was rapid and shallow. Her eyes seemed unfocused. Her mother took Ivora back to the hospital; the doctor in Urgent Care took one look at Ivora, tested her oxygen level. It was 60%. Ivora was put on oxygen immediately and admitted. For two days, Ivora responded to treatment. She was supposed to go home the next day, but doctors decided to keep her one more day. Ivora was encouraged to get out of bed and walk around. A neighbor, who is a nurse, was visiting when Ivora got up to go to the restroom. She promptly collapsed gasping for air. The neighbor summoned help and Ivora, bed and all, was rushed down the hall to ICU. Ivora was intubated, chemically paralyzed and put on life support. Ivora seemed to improve and sometimes she got worse. No one was sure what was causing her illness. An internal specialist was called in to take of her. He determined she was suffering from not one, but three different types of pneumonia. Add to this mix a blood clot in the right lung and leg and Ivora was a very sick young lady. She burned with fever constantly. Ivora had to be given four blood transfusions in all during her stay and a wide spectrum of antibiotics. She was unconscious all through September and into the first week of October. 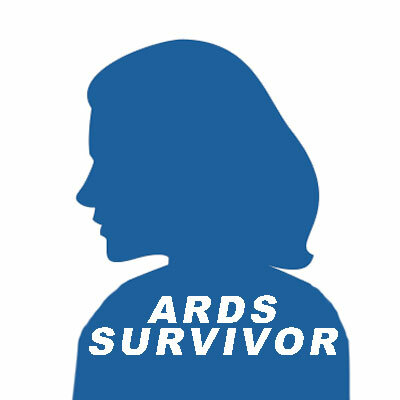 It was then that her doctor called the family together and told them she had ARDS. Nothing he tried was helping her and he was at a loss. The ventilator was already set as high as it could be without damaging her lungs further. As a last ditch effort, they decided to try giving Ivora steroid shots. Sometimes Ivora opened her eyes and looked at her mother. She seemed desperate to keep her mother’s face in view but the medications always made her sleep again. Her mother went home to think about it. In the end, she could not bear the thought of pulling the plug or letting her child suffer a slow death from suffocation. She wanted Ivora to have every possible chance to live. The next day she gave the doctor permission to give Ivora steroids every 12 hours. Her mother saw improvement with the second injection but the doctor did not agree until the end of the second day. From that point on, Ivora’s lungs began to soften and heal. Her doctor let her come out of her coma. She came off the ventilator the last week of October and was sent to intermediate care on the 27th with a trach. Anterior compartment developed in her right leg and she had to have surgery. She was also diagnosed with Critical Illness Polyneuropathy and foot drop. Her hands shook so bad she needed help feeding herself. On November 3th, Ivora was sent to an intense rehabilitation and she continued to improve. She threatened to escape if she couldn’t go home by Christmas. On December 4th, she was released with 96% of her former breathing capacity. Ivora has since graduated from a walker to a cane. She still uses a wheelchair to travel long distances. Though she does not move very fast, her hands don’t shake anymore. Throbbing nerves in her right arm bother her sometimes. There is some improvement in her right foot. Ivora is grateful to be alive and for the support she received from her family. She goes to physical therapy once a week and has weekly blood draws because she’s on a blood thinner. She hopes to be able to go back to school soon and finish earning her bachelors degree in animation.